Atrial Myxoma, Heart Failure, Video-Assisted Thoracoscopic Surgery (VATS) Lobectomy. Assistant Professor Victor Chao is a Senior Consultant with the Department of Cardiothoracic Surgery at the National Heart Centre Singapore. 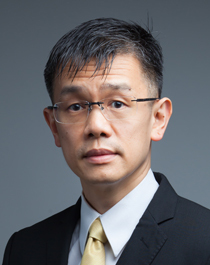 He is also Programme Director of the SingHealth Cardiothoracic Surgery Residency Programme., Residency Programme Surgical in the Cardivascular Sciences Academic Clinical Programme. Asst Prof Chao's subspecialty interests are in adult cardiac surgery, aortic and& endovascular surgery, heart failure/assist device/transplant surgery, and transcatheter aortic valve implantation and pulmonary endarterectomy. He is part of the team which performed the first Percutaneous Aortic Valve Replacement in Asia. Asst Prof Chao graduated with his Bachelor of Medicine and Surgery from the National University of Singapore in 1993. He is a Fellow of the Royal College of Surgeons, Edinburgh, UK since 1999; Fellow of the Royal College of Surgeons – Cardiothoracic, Edinburgh, UK since 2004 and Fellow of the Academy of Medicine Singapore since 2005. Asst Prof Chao completed his fellowship in Adult Cardiac Surgery at the St Vincent's Hospital, Melbourne, Australia in 2005-6 and at the Cleveland Clinic Foundation Heart & Vascular Institute, Ohio, and USA 2006-8. During his time at the Cleveland Clinic, he underwent an Aortic and Endovascular Fellowship, a Heart Failure, Assist Device, and Transplant Fellowship, as well as gained exposure to re-operative cardiac surgery & and transcatheter aortic valve implantation. Surgical management of infective endocarditis: an analysis of early and late outcomes. Pang PY, Sin YK, Lim CH, Tan TE, Lim SL, Chao VT, Chua YL. Eur J Cardiothorac Surg. 2015 May;47(5):826-32. Epub 2014 Jul 15. Does preoperative statin therapy prevent postoperative atrial fibrillation in patients undergoing cardiac surgery? Sean L. Goh, Kok H. Yap, Kim C. Chua and Victor TT Chao. Interactive CardioVascular and Thoracic Surgery 2015 Mar;20(3):422-8, Epub 2014 Dec 4. Comparison of the Haemodynamic Parameters of Venous and Arterial Coronary Artery Bypass Conduits. Zhang JM, Chan CJ, Kang N, Soon JL, Sin KY, Chao VT, Tan TE, Lim CH, Chakaramakkil MJ, Ooi AS, Chua YL, Tan RS, Zhong L. Ann Acad Med Singapore. 2016 Aug;45(8):369-72. Endovascular Retrieval of Entrapped Elephant Trunk Graft During Complex Hybrid Aortic Arch Repair. Damodharan K, Chao VT, Tay KH. Cardiovasc Intervent Radiol. 2016 Dec;39(12):1770-1773.